Now that I've shared my favorite gift ideas this year (congratulations to Kristina for winning my giveaway, by the way!) as well as my own wish list, it's time to start thinking about those stockings! One of my favorite people is here today to share her newest business venture with Arbonne. Heather and I have been blog friends forever, and we met for the first time when we both ran the Wine and Dine Half Marathon. She and her boyfriend even came to visit last winter. Hi there! I am so thrilled to be here today on Meg’s blog. 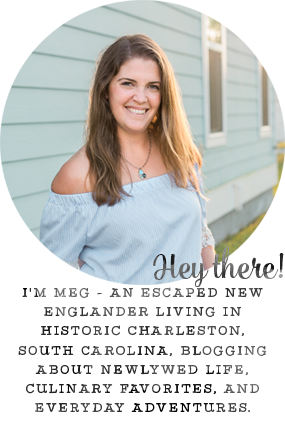 Meg has been a dear dear blog friend of mine for quite some time now, she was probably my very first to tell you the truth, and I’ve been thankful for this blogging friendship ever since! Just to introduce myself real quick, my name is Heather. I’m 26 years old and live in Jackson, MS. I adore the South but would be open to experiencing other areas of the country! I’ve never been out West… but hopefully one day! Preferably to Disney Land. Meg & I both share a deep passion for all things Disney. In case you were wondering, I do have a blog and I’ve guest posted for Meg quite a few times. I’m not currently active on my blog, although I have high hopes of that changing very soon. I became a vegetarian in January of 2014 and never looked back. In May, I started with Arbonne because I really loved a few of the products I had tried, and I knew it was a vegan company, which was important to me. Plus, who wouldn’t want a great discount on products they’re already using with an opportunity to make a little extra cash?! So, instead of talking about me and my blog today, I’m going to share some Arbonne holiday stocking stuffer ideas because I truly believe we have some of the best options out there and you can literally get a gift for everyone on your list! So what is Airborne or Audobon?… Believe me, we’ve heard it all! Arbonne is a health & wellness company that has been around for 35 years. Our products are pure, safe, and beneficial for the whole family. They are vegan, soy free, dairy free, and gluten free! We use strict European standards for the formulation of our products, but it’s a U.S.-based company. One of the things that drew me to Arbonne was it’s diversity of products. We have skin care and makeup, of course, but we also have top-notch nutritional products, products for men, and a product line for babies that I hear is phenomenal! That is why I’m bringing you some of our very best stocking stuffer ideas for EVERY member of the family! As you finish up your Christmas shopping, I want to offer Borrowed Heaven readers this unique Arbonne discount: your entire Arbonne order at 35% off through December 15th! All you have to do is complete the Google form below with your basic contact information. I will then contact you to place your order. Please note that you can check out all of the products on Arbonne's website, but to get the special 35% off deal, I need to place the order for you. In addition to that, if you book a Facebook party for anytime in January, I’ll give you FREE shipping & throw in a special product gift just for you! My last Facebook party host said she loved hosting because it took almost no work on her part and she received TONS of products free or at a heavy discount. So now that you know what your shopping specials are, let’s get this party started! 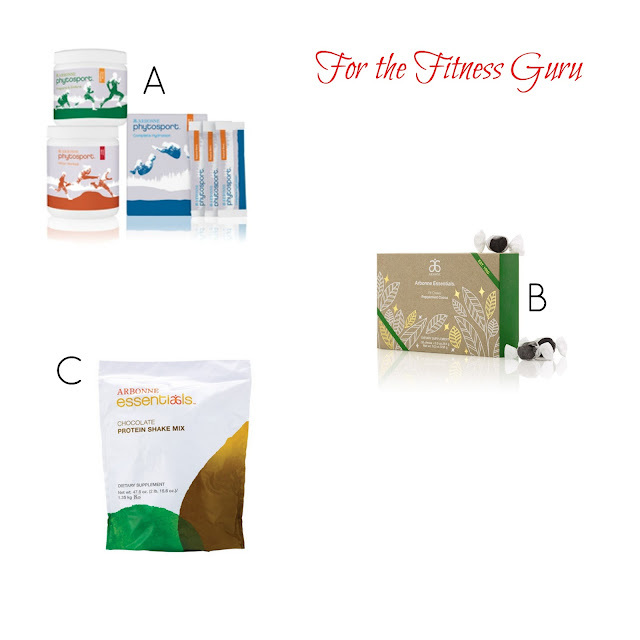 A) Phytosport – A combination of pre- during- and post-workout mixes for the athlete. Prepare for high activity, remain hydrated, & recover quickly so you’re back to performance the next day! B) Fit Chews - The delicious seasonal Fit Chews help control cravings while keeping energy levels sustained. C) Arbonne Essentials Protein Shake Mix - Delicious, nutritious, perfectly balanced chocolate or vanilla shake mixes provide 20 grams of vegan protein, plus more than 20 essential vitamins and minerals per serving, delivering a 100% amino acid score. Clinically tested and certified to have a low glycemic index, which has little effect on blood sugar levels and does not cause a spike in blood sugar. A) ABC Baby Care Bundle Set – A full set including Sunscreen, Body Lotion, Diaper Rash Cream, & Hair/Body Wash.
B) Unwind Bath Salts - Find joy in the present as you soak in a relaxing bath enhanced by mineral-rich salts. C) Arbonne Fizz Sticks - What a kickstarter: when you start to feel the afternoon sleepies, stir in a fizz stick to create a refreshing bubbly drink when you start to feel tired to temporarily help promote alertness and enhance cognitive performance, help promote endurance and enhance motor performance, and help reduce fatigue. A) Sugarplum Baked Eye Shadow Pallette - Sweeten someone’s holiday with an eye-catching favorite. Apply the metallic, mineral-infused eye shadows dry for soft impact, or wet for more intense effects. In four magical shades: Icing, Gingersnap, Ganache, and Plumberry. B) It’s a Long Story Mascara **My Favorite Product! ** - High-performance lengthening mascara helps create the look of ultra-dramatic lashes with major longitude. 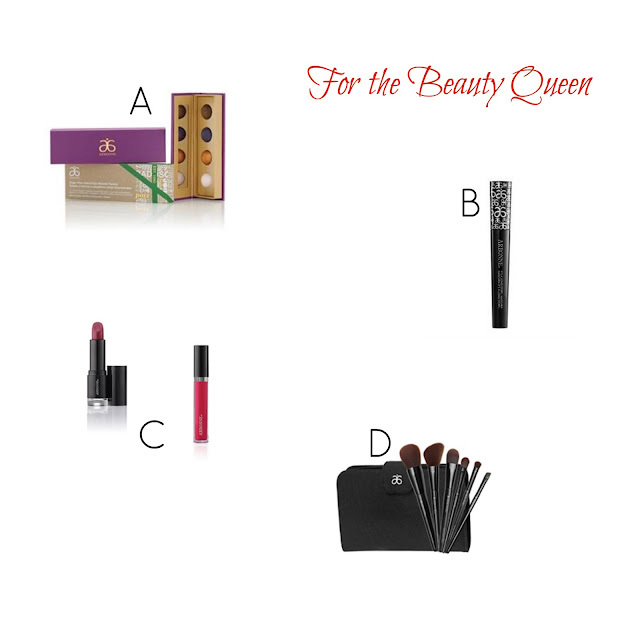 C) Lipstick and/or Lipgloss – (LS) A moisturizing formula that smooths on long-wearing, luxurious color. Infused with fruit extracts for voluminous effects and to-the-max hydration. (LG) Treat yourself to maximum lip shine with major softness. Plant extracts and peptides leave lips feeling quenched and intensely moisturized for a smooth-looking, plumped-up pucker. D) Makeup Brush Set - You'll love their super-soft feel and natural wood handles - plus they come in a chic canvas case with a pocket for makeup extras. Six brushes: Liquid Foundation, Powder, All Over Eye, Shading, Slant and Cheek. A) Sky for Men Soap Bar - This moisturizing bar with exfoliating beads cleanses while conditioning skin for all-over coolness. B) Men’s Shave Gel - Our foaming gel with skin-conditioning botanicals gives the razor an extra-smooth glide for a close shave and refreshed feeling. C) Sky for Men Cologne – Sky for Men speaks to the modern-day renaissance man who approaches life as an endless new adventure, with intellectual curiosity and bold enthusiasm. It’s a masculine expression of his strength and spirit, with notes of citrus, woods and refreshing herbs. I’d be happy to answer any questions you may have or provide a recommendation; feel free to contact me directly at heatherblack79@gmail.com. I hope each and every one of you have a VERY Merry Christmas and a GLORIOUS New Year! Thanks so much for sharing, Heather! I can't wait to sneak these brushes and lip glosses into my stocking! Never heard of these products before! The sky soap for men sounds something my husband would love.. Thanks for introducing this brand!! I love that they have something for everyone! I'd love the brushes set in my stocking! Lovely ideas thanks for sharing! These sound like great ideas! :) Thanks for sharing.